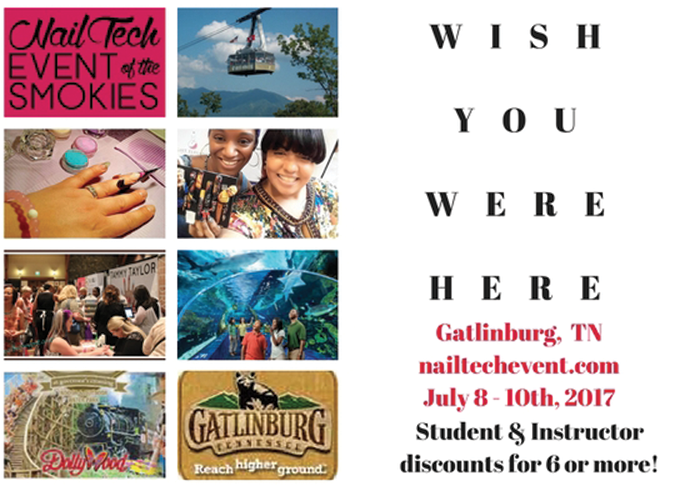 Head for the mountains for the Nail Tech Event of the Smokies, held July 8-10, in Gatlinburg, Tennessee. In addition to more than 40 exhibitors, plus classes and workshops, attendees are invited to “The After Party” on July 9, a celebration of the show’s 10th anniversary. “Beauty pros can relax around the fire pit, socialize with peers and network with educators,” says Jill Wright, event coordinator for Nail Tech Event of the Smokies. The first 100 techs to register for the show will receive free entry to the party. For more information, visit nailtechevent.com.